5 Niches on Amazon with 10% Commissions - Affiliate Resources, Inc. Sadly, as with many other physical goods affiliate programs, can often be very low. This is especially true after the changes that Amazon made to their affiliate program last year. As you can see in the image below, some of the categories over at Amazon offer a very low commission rate which makes it a challenge to earn larger monthly payouts without having to sell thousands of products every month. There is an easy work around here that can have you earning much larger commission checks month after month. That workaround is to know which categories will earn you a 10% commission on your sales, which is the highest commission level possible in the Amazon affiliate program. Market Survivability – Makeup has been around for thousands of years and shows absolutely no signs of going away anytime soon. Perception of Value – When it comes to makeup, many experts agree that you really do get what you pay for. So, the barrier to entry for more expensive makeup brands is significantly lower than it is in other industries. Constant Need for New Products – Makeup is a very consumable product. For you, this means that your customers will come back month after month to obtain additional products based on your recommendations. An Open-Minded Audience – Many people spend hundreds or thousands of dollars at salons to have their hair professionally cut, colored, and styled. For that reason, they understand that it is important to use high quality products at home to maintain their hair as well as possible. Large Information Need – Everyone’s hair texture and color is a little bit different. Combine some of the many different salon treatments available for hair and the maintenance that those treatments require, and you can quickly see just how much information is needed when it comes to proper haircare. For you, this means that it would be challenging to ever find yourself at a loss for new content ideas. Large Product Variety – From brushes, hairdryers, shampoos, conditioners and more, there are a large variety of different luxury hair care products available on the marketplace. This gives you the ability to choose whether you want to target the entire luxury haircare market or carve yourself out a smaller piece of the pie by creating a very specific niche site inside of the larger luxury haircare niche. Helping A Concerned Audience – Almost everyone has heard some kind of horror story about the stretch marks left behind after pregnancy. By creating content that can truly help your audience, you could become a very helpful resource to a lot of people who are desperate to find a solution to a potential problem that they are very worried about. Variety of Products – As with many of the other health and beauty niches, there are a variety of products that can be reviewed and shared inside of the maternity skincare niche. Potential for Growth – By establishing yourself as a helpful authority for people when they are trying to take care of your skin during pregnancy, you can begin to branch out later and become an authority for overall skincare. This would allow you to start with a smaller niche and then expand to a much broader demographic in the future. Information Need – Just like the luxury haircare niche, there are a lot of different angles that you could use to approach the women’s fashion industry. From events and news to what’s trending in the market, people are constantly searching for new fashion information. Frequent Style Changes – Fashion tends to follow very rapidly changing trends. From season to season, there are always new looks, new accessories that are in style, and new fashion designers entering the marketplace. For you, this means that your customers will always be looking for new recommendations when it comes to what’s going to be the hot style for upcoming seasons. Limitless Products – Many niches only have so many different product categories to choose from. This is not the case when it comes to women’s fashion. You can discuss the latest outfits of course, but there are also dozens of different accessories like purses and jewelry that you could discuss on your site.  Lower Competition – Since women are the primary consumers of the newest fashion trends, men are often overlooked completely when it comes to showcasing the latest styles. Because of this, you would face much lower competition levels in the men’s fashion arena. Different Accessories – Men have several different accessories to choose from as well when it comes to fashion. Best of all, these accessories are often completely different than those selected by women. This means that you can still sell and recommend a significant amount of men’s fashion accessories like shoes and wallets without having to compete with the market of women’s fashion accessories. Frequent Style Changes – Just like the women’s fashion niche, popular men’s styles change season to season as well. For you, this means that you will always be able to sell more products based on what comes into style over time. 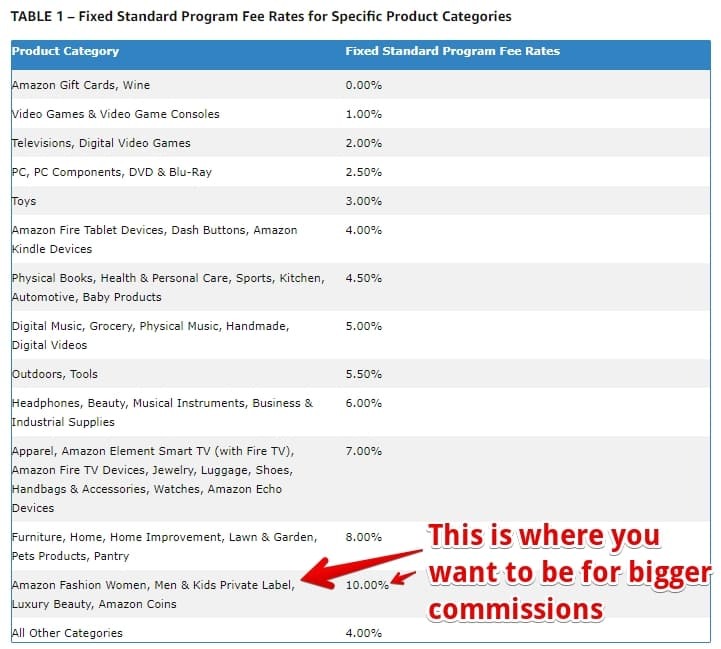 As you can see above, even though Amazon has reduced the amount of commission paid on many categories, there’s still a lot of room for you to be able to make a significant income with an online business if you take the time to select a higher paying niche. It’s also important that you remember that anytime you’re selling products through affiliate links to Amazon, you will earn commissions for everything that you sell and not just the products you are recommending. This means that if someone comes in to purchase an item that you recommended in a niche like men’s fashion and they also decide to purchase a television, you receive a commission on that television purchase as well. All in all, while many categories and Amazon now pay lower commission percentages, the overall pay that you can earn is still very substantial. The most important thing is that you are following a quality training program that can help you learn exactly how to get in front of your audience and deliver the best product possible to help them solve their own unique problems. If you’re ready to get started with your own online business today, make sure to check out my top recommended resource and see how you can become a top earning Amazon affiliate website owner as quickly as possible. This is an excellent article Jay. I promote Amazon a lot and their commissions are very low. It is good to find niches that pay a little more than normal. You did a great job of sharing the information. I found your highlights really helpful. 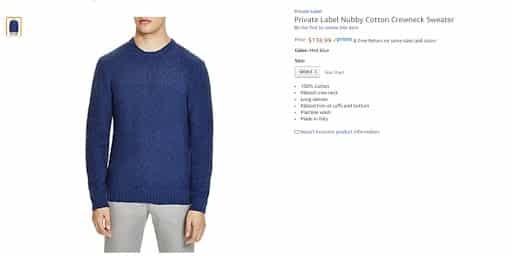 Why i’m not surprised about the clothes section, on average Amazon doesn’t pay too much when it comes to commissions, so finding the 10% mark is very nice! I promote fitness and health products, they offer me between 2-8%, which is close to the 10, but if you look to the big picture, it is a huge difference. I will look what I can promote more into those niches, maybe my wife can do it about the clothes. It so nice to learn that Amazon can pay their promoters 10% commission in those products yout have listed, mostly for women. Personally am used to 5-7% I and I’ve always thought that 8% is the maximum commission. With such a low commission, would you advise enterpreneuers like me to keep on promoting Amazon products or look for alternative affiliate programs? To me it seems that it’s like Amazon take advantage of being a giant program. This post gives invaluable information to anyone who is looking to become an Amazon Affiliate.I had not realised that some products carry so little commission and some so much more. It is obvious from your post that it really is important to consider ways of selling before actually choosing a niche if you wish to use the Amazon platform. Otherwise you could find that what you want to sell carries a very low commission rate, and is scarcely worth the bother! Would you agree with that? You have made me think that maybe it is worth starting another website which concentrates on the high-commission end of Amazon products – would you think that is a good idea? It must certainly be worthy of consideration when starting a new niche. Very many thanks for this extremely helpful and informative post. Great insight in tracking down some groovy high commission niches on Amazon. Just think— these 10% commission categories you mention pay 3 to 5 x’s more than commissions on things like TV’s and toys! With the holidays approaching and the gift giving season on the way…what awesome product categories to spotlight. Luxury makeup, hair care, and skin care items are perfect practical gifts. Brilliant! Guess I’m starting another website…lol. Seriously, super job…it’s another great affiliate resource. Thanks for sharing it! Thank you for sharing this wonderful post on 5 Niches on Amazon with such great commission. When i started a website i found it difficult to choose a niche because i had many ideas on niches i could have as my passion. But i found all niches can’t bring the same amount of money .To find the good niche depends on people’s testimonies with success in this field. I like learning from experienced people because they tell what they know. Thank you again. I learn something new today from this website. One of the reasons why I dislike the Amazon affiliate program is because of the low commissions. Amazon reduced the commissions to 4% when I had just started building my website, and I had to register with ShareASale to increase my income. For every sale that I make on Amazon, I earn twice as much when someone purchases a product via my ShareASale affiliate link. Although Amazon converts better than ShareASale, I still make more from the latter. The fashion and beauty niche is a great one, but I am more concerned about the competition. I write about fertility and pregnancy, and I’m wondering whether I can get into the maternity skin care niche. But I guess I should give it some time for Google to consider me to be an authority in my niche before branching out.